Have a retail or ecommerce business and want to take it to the next level. Contact Translations Services USA for a free quote on how we can translat your website, marketing materials, or anything else and really help your brand go global. With major retailers both on- and offline catering to a worldwide market, it's only natural that their sales would reflect this. But even the smallest business can compete against the biggest ones by communicating with potential customers in whatever language they are most comfortable using. As one might expect, the key to a quality translation in any industry is hiring the right translators, and Translations Services USA only hires professional, native-speaking translators who specialize (and have experience) in the retail and ecommerce fields. There are a lot of challenges in retail that are unique to it as an industry. Things like pricing, promotion, verbage, branding, and meeting consumer expectation all play into a successful sale. Our translators are trained to know the most appropriate way to communicate these values to consumers and close the deal in any language. 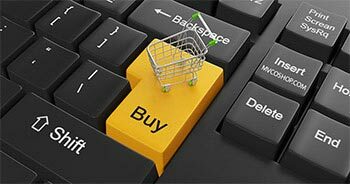 Ecommerce, too, has its own unique challenges, and our translators assigned to ecommerce projects are aware of them, and can even deal with the technical issues, like placeholders, variables, and specialized code formatting, without breaking a sweat. Translations Services USA can translate your retail and ecommerce materials from English into hundreds of different languages, or from any language into English, or any other language into anything else. And with over 10 years of experience, you know when you order with us that you'll get the quality and attention that you deserve. Our salespeople can offer you options to fit your needs and your budget, no matter how big or small, so contact us today for a free quote.